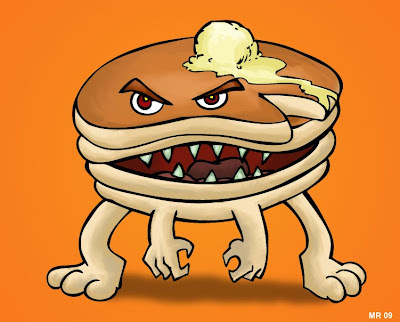 FlapJack is a yokai which takes the form of a stack of pancakes. He gets mad when people order off the breakfast menu during other times of the day. He goes good with some maple syrup and butter.